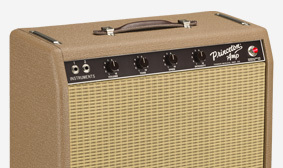 The brown ’62 Princeton amp’s sensitivity and smooth organic tremolo made it a longtime studio favorite and the ideal partner for Grammy®-winning country artist, Chris Stapleton. 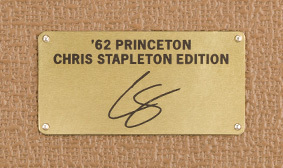 The hand-wired ’62 Princeton Chris Stapleton Edition combines the classic 6G2 circuit with Stapleton’s favorite features and personally chosen aesthetic touches. This 12W combo features Fender Vintage “Blue” tone caps, Schumacher™ transformers, an upgraded Eminence® 12” Special Design “CS” speaker, and an output tube-biased tremolo circuit. The acoustically resonant solid pine cabinet wears rough brown textured vinyl covering, wheat grille cloth and thick dark brown leather handle, while the dark brown control panel sports dark brown “radio” knobs and the rear panel features an engraved brass plate with Chris Stapleton's signature. Includes 1-button switch for tremolo and retro-styled Filson™ Rugged Twill fabric cover. 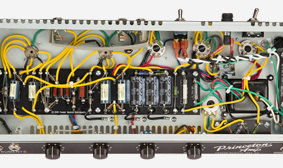 This amplifier features hand-wired circuitry, mounted on eyelet board, performed by a builder at a workbench, just like the iconic Fender guitar amps of the 1950s and ’60s. 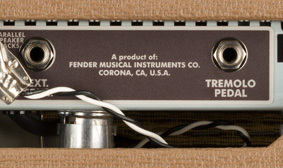 The sparkling cleans, rich overdrive and organic tremolo of Fender’s famous brown amps are prized by guitarists who know and appreciate unique tones. 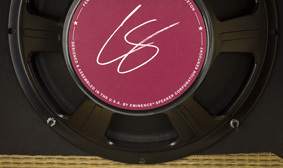 Eminence speakers deliver versatile tone and performance spanning every sonic shade from clean to mean, and everything in between. 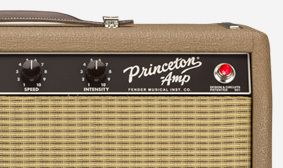 Solid pine was a traditional Fender amp construction hallmark of the 1950s and ’60s, making for more resonant and more “musical” speaker cabinets. 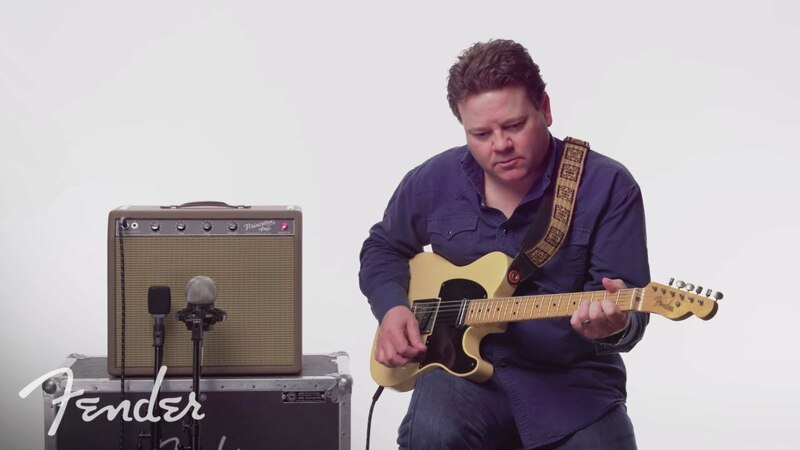 Grammy-winner Chris Stapleton is one of the hottest country artists around the Nashville scene today, and we've gone to great lengths to replicate his favorite amp and tones. Classic 6G2 Circuit, Hand-Wired, Fender® Vintage “Blue” Tone Caps, Schumacher Transformers, Tube-Biased Tremolo, Solid Pine Cabinet, Engraved Brass Plate with Chris Stapleton's Signature.